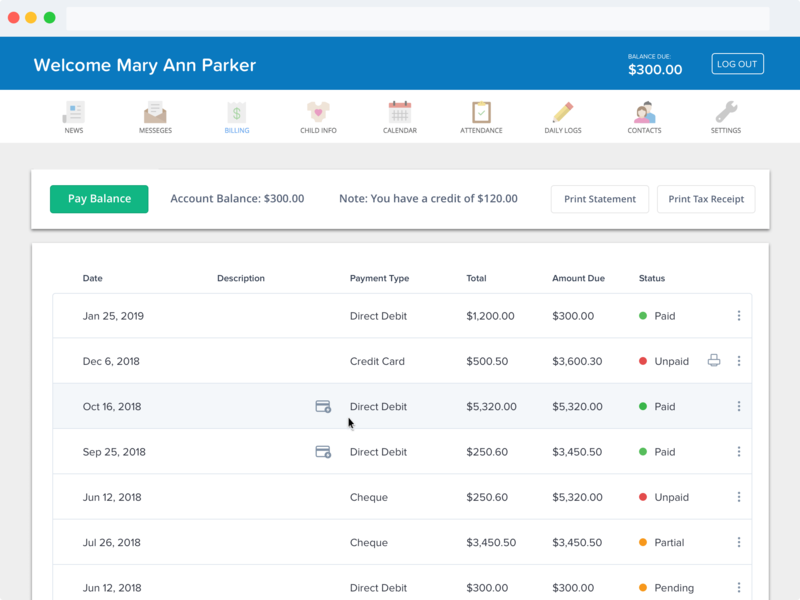 Sandbox automatically tracks schedules and tuition pricing for all the kids at your center, making it easy to generate invoices when it's time to bill your parents. We make it easy for your parents to view and pay invoices on their mobile devices through our Parent App or through our online Parent Portal. 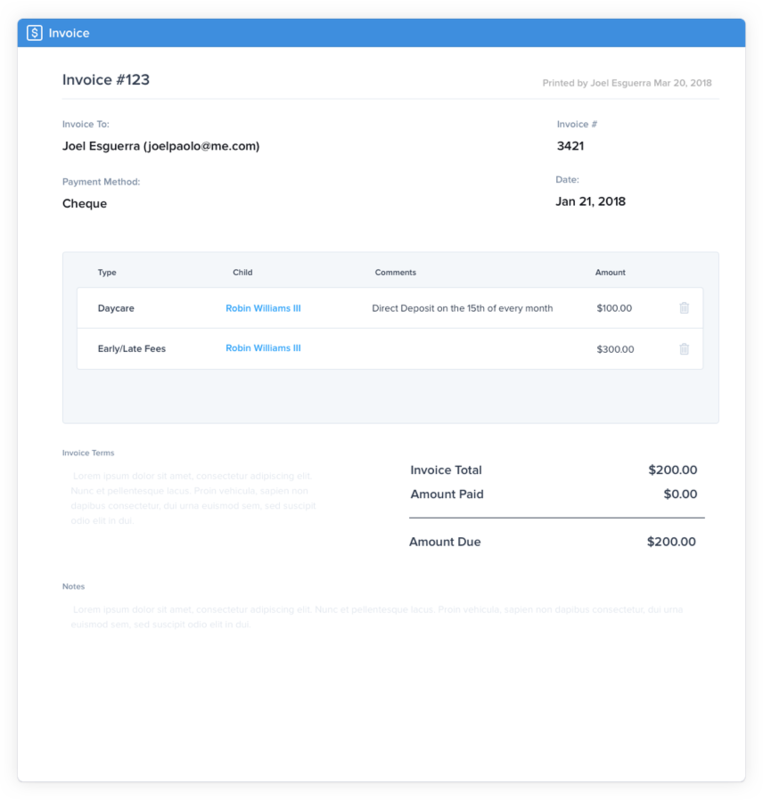 Sandbox integrates with Stripe to allow automatic payments. No Monthly Fee. 2.9% + $0.30 per transaction for credit cards. 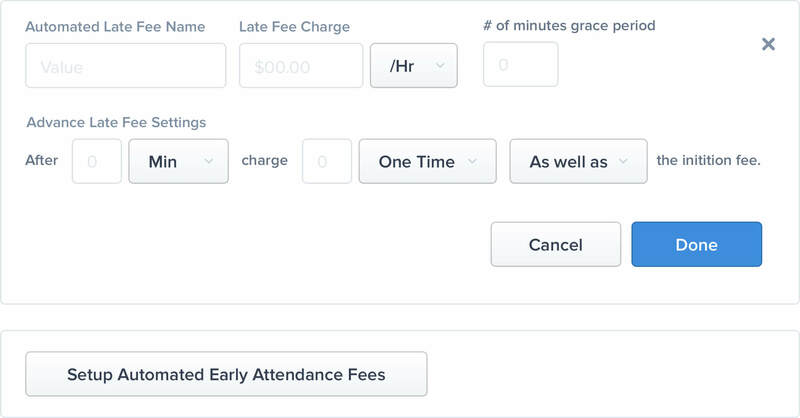 We take the work out of tracking early and late fees by allowing you to configure these fees to be automatically added to your invoices.